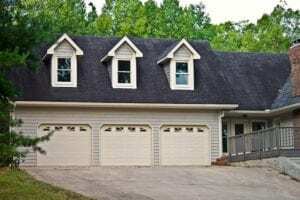 If you are looking for quality craftsman ship with a company that has a long-established reputation in Bellaire, look no further than Action Garage Door. We strive to provide top-notch products and service to every customer. We have a wide variety of products to fit any home and budget. Our knowledgeable and reliable contractors have the skill and expertise to help you with your garage door needs. It’s no wonder why Bellaire residents recommend us to their families and friends. 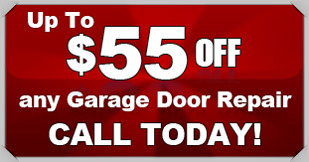 When you think garage door repair in Bellaire, think Action Garage Door! We are a garage door repair company that prides itself on keeping customers happy with a long-lasting, great-looking product. We meticulously research every product we use in our installation and repair. Our family-owned business has been a staple in Bellaire for decades. There’s no worry: if you buy a product from us, we are with you all the way. Our doors can withstand the worst of Texas weather and we proudly meet all local regulations. So when you are looking for quality, coupled with the best customer service in Bellaire, call us at Action Garage Door. No two home or business owners are alike, and our garage door repair company understands that no two will want the exact same garage doors and set up. At Action Garage Door, we offer a variety of garage doors for installation in Bellaire homes and offices. Some of our options include, Carriage House, Olympus, Classica, Stratford/Heritage, and Amarr garage doors. To get started with your garage door repair, installation, or replacement, contact Action Garage Door in Bellaire today and let’s talk about the options available from the garage door repair company that has been caring for customers since 1984. The automobile rules in Bellaire, but that’s true throughout Texas. Locals love their wheels! But if you have a problem with your garage door, you’ll want to have a number to call that will get you repair service and replacement parts in a hurry. That’s Action Garage Door in the Bellaire area. Our trained technicians will respond quickly to your needs, whether your door simply needs minor adjustments or a complete overhaul. Don’t forget; we’re here to help! Bellaire Town Square is the site of much of what happens in this “With It” suburb of Houston. There is a full round of parties, musical events, wine and tapas evenings, picnics and other rousing good times planned by the city’s Parks Department for the benefit of local residents. That’s just one of the reasons residents love living in this community, known as the “City of Homes,” and home to almost 20,000 residents. Bellaire is primarily a residential area, although the 610 Loop has a variety of business and retail locations. The proximity of the Loop also means it is easy to get most directions in the greater Houston area, even though you might have to plan your trips to avoid the heaviest traffic. But Houston area residents are used to the traffic and simply consider it a fact of life. Bellaire was carved out of existing ranch land in 1908 by a former resident of Iowa, when the railroad came to the area. It was named to honor the “good air” that blew in as breeze from the Gulf of Mexico, and was intended as a residential enclave and agricultural trading center, with a six-mile buffer zone between it and the city. Today, the city has grown out to meet Bellaire, and it is the site of 87 percent owner-occupied homes with an average value of more than $800,000. It’s a cohesive and extremely livable community, characterized by A+ ratings across the board in the categories of amenities, housing, employment, education and crime. The only problem: its Cost of Living statistics earn it an “F” in comparison to other state and national rankings. No doubt about it: It’s expensive to live in Bellaire, but if you have the means, you’ll undoubtedly love it. The city ranks at 158 on the national index of 100, making it more pricey than more than half of the nation and almost two-thirds higher in cost of living than the Texas average. Most of that cost is tied to housing. The Median household income of those who choose Bellaire as a place to own a home is nearly $190,000 a year. The education level of citizens is also high, with 77.5 percent holding bachelor’s degrees or higher. School test scores in the 96th percentile reflect the community’s educational commitment. Class size is manageable, with a student-teacher ratio of 18:1. School campuses in the city include a charter school and Bellaire High School. Rice University is located not far to the east, with the University of Houston a bit farther in that direction. Bellaire residents enjoy an active lifestyle, with a comprehensive parks and recreation program, family aquatic center, nature conservancy and discovery area, and a full roster of events planned to engage and entertain families throughout the year. One fun event is the “Dining by Fireflies” progressive dinner and park program preview in the spring. Other events include a Farmer’s Market, special Dog Days, pop-up bazaars that include products designed and made by Houston area vendors, an annual “Burn the Bird” post-Thanksgiving family fitness workout, and a number of other creative programs. If you have any doubts about the quality of life in Bellaire, know that it is a “small-town” experience right in the heart of one of the nation’s largest metropolitan areas. And it is doing its best to remain so! Richard was very professional ...he came many times to fix a problem, but he had a good attitude and was not upset or frustrated. I do recommend Richard to fix your garage problems. A small gaff in getting to us as they promised on the same day we called in. But when they arrived the following morning, they were able to help us and schedule our repair right away. We were pleased with customer service and options. Spring repair was quick and now our door works better than ever. on time, efficient service with a polite, courteous technician. Rather pricey I felt but very satisified with results. Great experience! On time, work done perfectly, cordial dialogue. Prompt, reliable and friendly service. Fast and curtious. Great job! Installed new torsion springs system on customers Wayne Dalton 18x8 garage door. Installed two new torsion springs on customers wood garage door.